There is just one week to go before the entries for The Marketing Society's Awards for Excellence close on Friday 7 February. As chair, Fiona Dawson, the President of Mars Chocolate UK, will oversee the society's elite panel of 24 judges, which includes Paddy Power's global marketing director Christian Woolfenden, Diageo chief marketing officer Syl Saller and easyJet marketing director Peter Duffy. Last year, Sainsbury's and Channel 4 walked away with the Grand Prix for their collaborative London 2012 Paralympics campaign. The winning brands will be announced at the dedicated awards night on Thursday 5 June, held at the London Hilton on Park Lane. More than 650 of the UK's leading marketers will be in attendance across all sectors. Entry is online at Marketingsocietyawards.com, with submissions being accepted across 21 categories. 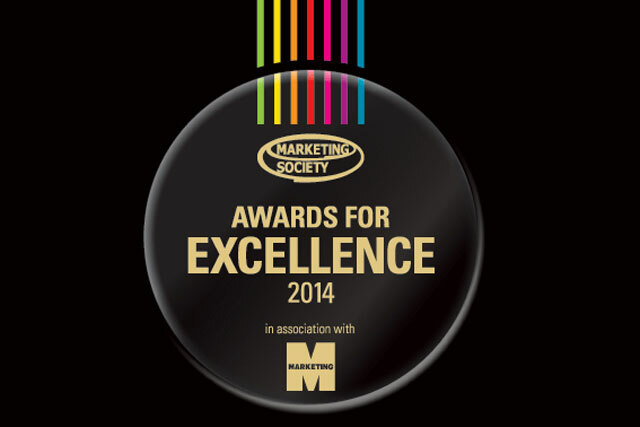 The Marketing Society's Awards for Excellence are held in association with Marketing magazine.